 This week's color is a muted dusky purple- a tone that I just can't seem to get right. It's a fine line between being either too pink or too gray. I think this purple hits it right on the mark. I used to have this impulse to paint our bathroom this color- and who knows, maybe someday, that dream may come true. But, while I truly love muted tones, it's a struggle to incorporate them into a house full of bright, saturated colors. I'm also a pretty big fan of the Hazy Lilac color, as "Hazy" is a common nickname that we use for Hazel at home- so it just fits nicely. While I have given up on purple hues over the past few months, the onset of Fall has brought them back to my mind, and I am feeling particularly inspired this week by a new line of furniture at IKEA. This is the ISALA Laptop Table- a style that fuses traditional elements with a modern twist. 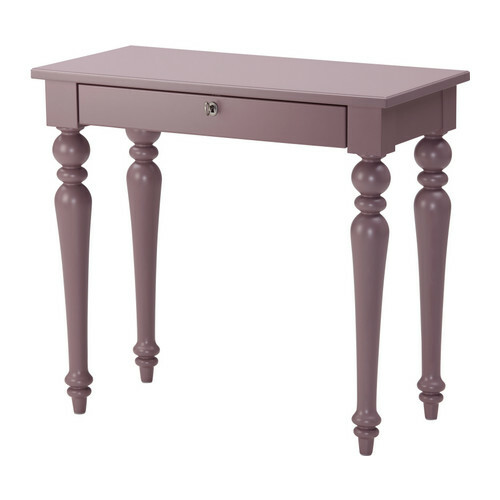 I absolutely love the color- and feel it fits in well with the Hazy Lilac tone. Lilacs carry with them a great deal of serenity, and are usually thought to be represented as a spiritual color. I'd stray from using a lilac as a main neutral, but rather in small rooms that could use an airy vibe. In the meantime, I'm going to save this one in the "color bank" as a resource for a well-deserved furniture project for the future.